The University of Cambridge has awarded Skanska a £1.5 million contract, to undertake enabling works for its development at North West Cambridge that will boost the trades and create new jobs. 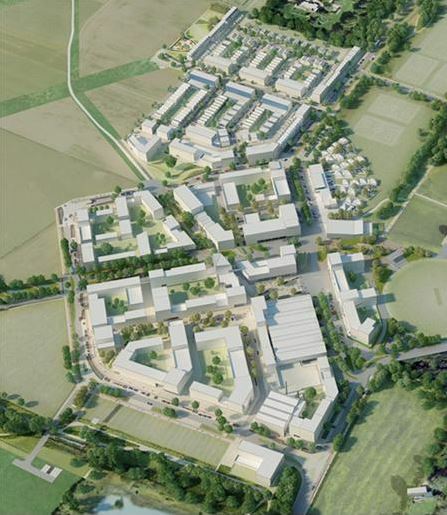 Covering 150 hectares, the £1 billion North West Cambridge development will combine residential housing, academic and research facilities, a local centre and public amenities that will energise the local economy. The Skanska contract involves earthworks, drainage, building roads and a temporary junction and installing a 4.5km security fence. The development includes substantial investment in new publicly accessible parkland, sports pitches and open spaces. The works will start immediately and should be complete at the end of January 2014. Gloucestershire College has unveiled building plans for its proposed new campus in Cinderford’s Northern Quarter in the Forest of Dean. Construction work on the £14 million campus is set to begin in Spring 2014 and scheduled to be completed by August 2015. The regeneration project will be jointly developed and run by Gloucestershire College and Dene Magna School, providing a new centre for further education and creating new jobs in the trades. 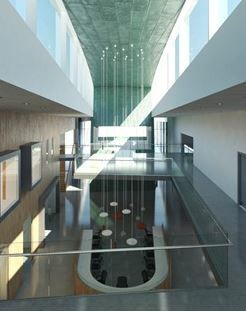 The 7,200 sq m site would be built to high energy efficient standards and will feature large panels of glazing which have been included to maximise the views over the adjacent lakes and surrounding forest, as well providing high levels of natural daylight and the opportunity to put teaching and learning on display externally. The plans are supported by the Homes and Communities Agency (HCA), who are working with the college and its partners to bring forward the education-led Northern Quarter project. Balfour Beatty has been appointed by Bristow Helicopters Ltd as its infrastructure delivery partner to support the development of its UK Search and Rescue service. Balfour Beatty will now begin outsourcing various aspects of the £40 million job to local contractors in the communities in which the bases will be established. Balfour Beatty will be responsible for delivering infrastructure projects at nine sites across the UK between 2014 and 2017 including the construction of seven new build search and rescue helicopter bases. The new bases will be located in Inverness, Manston, Prestwick, Caernarfon, St Athan, Humberside and Newquay, and the refurbishment of an existing facility in Stornoway. 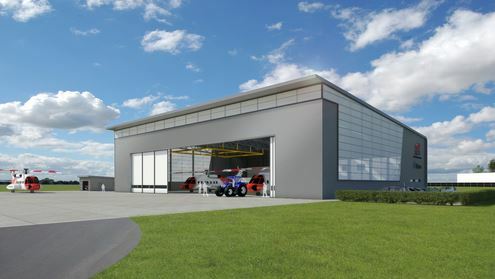 The ninth SAR helicopter base which will be used by Bristow to deliver the contract is an existing Maritime and Coastguard Agency (MCA) facility at Lee-on-Solent and a final tenth base shall be an existing Bristow facility at Sumburgh. At the forefront of sustainability, the new helicopter bases include a raft of environmental technologies including PV solar panels and rainwater harvesting systems. Managing Director of Bristow Helicopters Ltd, Mike Imlach said: “We were impressed with the extensive experience and professionalism displayed by the team at Balfour Beatty and have absolute faith in their ability to deliver on this important project. Crossrail and development partner Cardinal Lysander have received planning approval from the London Borough of Islington for an over-site development at Farringdon Crossrail station. The 207,000 sq ft development, located at the corner of Cowcross Street and Farringdon Road, will comprise sixstoreys of high-quality office space, with retail units at street level. The building has been carefully designed to integrate with Crossrail’s operating station and will also improve local views of St Paul’s Cathedral. Farringdon is at the heart of the Crossrail route and will be a key link in bringing passengers directly from within Greater London and beyond to the business hubs in the City and Canary Wharf. When complete, over 140 trains per hour will flow through the Farringdon interchange. Farringdon Crossrail station will comprise two platform tunnels, each the length of two football pitches, linking two new ticket halls, and will be fully accessible from street to train. The western ticket, hall shared with Thameslink services, will have an entrance on Cowcross Street, directly opposite Farringdon Tube station. The eastern ticket hall will have entrances at the Long Lane end of the station, on Lindsey Street and Hayne Street. It will also link directly with the existing London Underground platforms at Barbican station. The Cowcross Street scheme is one of two over-station developments planned in the Farringdon area. 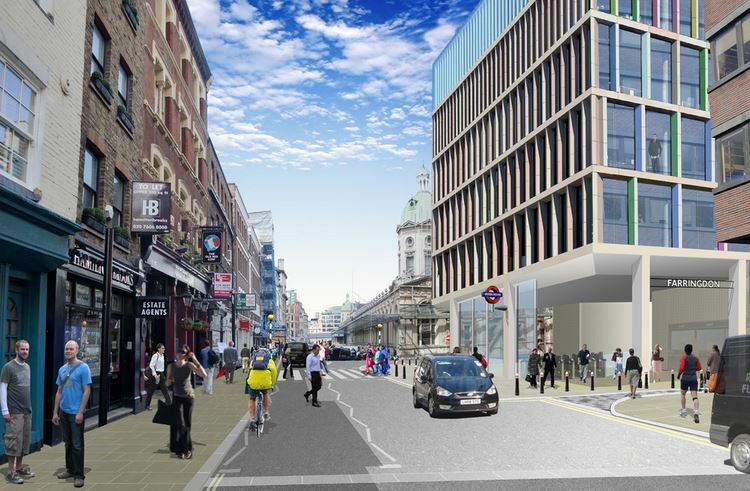 In June, Crossrail submitted plans for a significant new commercial development at Lindsey Street to sit above the new Crossrail station eastern ticket hall, opposite the historic Smithfield Market. The over-site developments are scheduled to commence during the latter stages of work to construct Farringdon Crossrail station. Crossrail will commence services in 2018. A total of 3 million square feet of development space is planned above Crossrail stations, helping create new business space, jobs and new homes for Londoners. The scale of Crossrail’s property plans are detailed in the Driving London Development brochure which also outlines the significant development and investment opportunities at London sites. Development of the largest tidal array in Europe has today been given the go-ahead after Scottish Ministers awarded consent to build the first tidal energy project in the Pentland Firth. MeyGen Limited, a competitor in the Scottish Government’s Saltire Prize, has been given the go ahead to install the tidal array in stages, beginning with a nine megawatt demonstration project of up to six turbines. MeyGen plans to build an initial demonstration array of up to 6 turbines, with construction starting in early 2014 and turbines commissioned in 2015. This initial array will provide valuable environmental data for the subsequent phases and the wider tidal energy industry. Ed Rollings, Environment & Consents Manager of MeyGen, said: “The award of this consent is the culmination of over 4 years of environmental work and extensive consultation with stakeholders and the local community in Caithness. Ahead of the Scottish Renewables Marine Conference, Energy Minister Fergus Ewing said: “Today, we have granted consent to MeyGen Limited to develop the largest tidal turbine array in Europe and the first commercial project off these shores. “This is a major step forward for Scotland’s marine renewable energy industry. When fully operational, the 86 megawatt array could generate enough electricity to power the equivalent of 42,000 homes – around 40 per cent of homes in the Highlands. A £70 million building scheme to regenerate Altrincham town centre in Greater Manchester and pave the way for new jobs in the construction trades has been approved. The Altair scheme will also see the building of 150 new apartments and townhouses with Nikal reporting interest already expressed by local first time buyers and downsizers. The planning application on the 4.5 acre site will look to provide a new leisure centre and a range of restaurants, coffee shops and cafes aimed at local residents, whilst also attracting visitors from the wider Cheshire and Manchester areas. The existing ice rink will remain in its current position and be extended to incorporate a new tenpin bowling alley. Nick Payne, managing director of developers Nikal, said: “We’ve had a vision to regenerate this brownfield site for many years and it’s tremendously exciting to be taking the next steps with the support of the council. “It’s a promising time for Altrincham; the refurbishment of the interchange is under way, there are new plans to revitalise the marketplace and now Altair. Trafford Council Leader and Chair of Altrincham Forward, Councillor Matt Colledge said: “I am excited by the refreshed plans for Altair and the positive effect it will have on the town as a whole. “A considerable effort has been made by Nikal and my officers to regain momentum on the scheme despite a challenging economic climate. This scheme is now more refined, and crucially deliverable, and in my view is a huge step forward in the rejuvenation of Altrincham. New scheme highlighting the national Advanced Manufacturing Supply Chain Initiative (AMSCI) and the creation of thousands of new jobs in the trades is set to be published next week. The report will be presented by Birmingham City Council, which is the accountable body of the programme, and will progress to Cabinet on Monday 16 September. Cllr Tahir Ali, cabinet member for Development, Jobs and Skills, said: “I am very pleased that the team at Birmingham City Council has shown they have the necessary experience to administer and manage £245 million of national AMSCI funding. “This funding will create and safeguard thousands of jobs nationally and 1,000 across the region in the automotive and aerospace supply chain. Balfour Beatty has been awarded a £22 million contract with SSE to construct a replacement overhead electricity line in the North of Scotland. 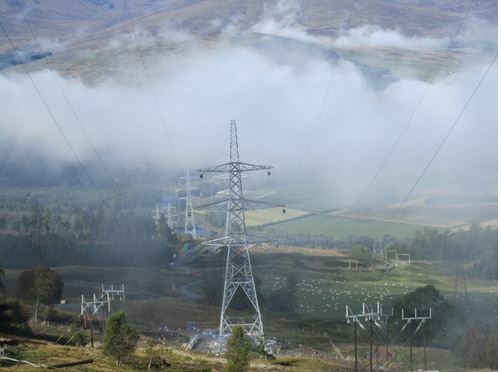 The project involves the construction of a 132kV power line connecting substations at Beauly and Mossford in the Highlands. The 26km route will replace two existing lines, which the firm will dismantle as part of the programme of works. Access and building construction works have begun in August and the project is expected to be complete in 2015. The replacement of the existing Beauly to Mossford line is a part of ongoing investment in the electricity transmission network in the north of Scotland. The growth of renewable generation has been significant in recent years and is driving the need for transmission reinforcement. “Power is an important strategic market for Balfour Beatty, both in the UK and internationally and we are delighted to be continuing our relationship with SHE Transmission through this important infrastructure project. The new contract is one of several major power infrastructure projects being carried out by Balfour Beatty’s Power Transmission & Distribution team in Scotland. A historic City Deal for Preston and Lancashire has been signed today, supporting the building of 17,420 new homes and £1 billion economic growth over the next 10 years. The new deal is set to represent one of the most important economic centres outside London. It is forecast that more than 20,000 new jobs will be created – including 5,000 jobs on the Lancashire Enterprise Zone. The Preston and Lancashire City Deal sets out a detailed plan which will support the building engineering industry and people working in the trades. County Councillor Jennifer Mein, Leader of Lancashire County Council, said: “It is superb news for Lancashire we have successfully reached agreement on the Preston and Lancashire City Deal. “This is a once in a generation opportunity that will enable Preston, and indeed Lancashire as a whole, to reach its full economic potential. Lancashire Enterprise Partnership, the private and public sector partnership that provides strategic leadership for the county’s economy, will be responsible for ensuring that the City Deal is delivered. Local Growth Minister, Mark Prisk said: “This government is committed to helping grow local economies and that’s why we are supporting those cities that want their own powers to deliver prosperity. Planning permission for 48 socially rented homes to be built on the site of the former Alva Academy has been granted, paving the way for building work to get underway. Clackmannanshire Council has taken action to stimulate the local economy including marketing the development of the former Alva Academy site in Queen Street. This led to developer Tigh Grian Limited buying the land from the Council after securing £2.2 million-worth of Scottish Government funding through the Greener Homes Innovation Scheme. Tigh Grian Limited are keen to roll-out the environmentally innovative technology and construction methods in delivering a larger affordable social housing project in partnership with a Link and Paragon Housing Associations in Alva. The development will consist of 16 one-bedroomed cottage flats, 24 two-bedroomed houses and 8 three bedroomed houses. Enterprise and Environment Convenor Councillor Donald Balsillie said: “I’m particularly pleased that these will be energy efficient, affordable housing, using modern methods of off site construction. The committee heard that a footpath between Courthill and Duke Street is to be re-routed through the housing development. The report also pointed out that the number of parking spaces provided is in excess of that required for low cost housing. Community regeneration specialist Keepmoat has won a £198 million contract to regenerate three areas of inner city Leeds, as part of the first ever PFI scheme awarded to the company. 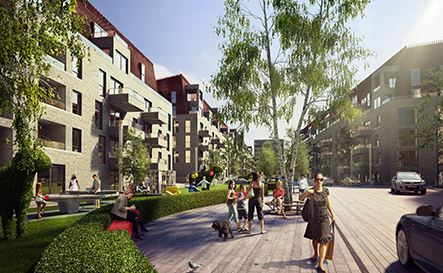 The landmark scheme will see Keepmoat refurbish 1,245 properties, create 388 new homes and make environmental improvements to the Holbeck, Beeston Hill and Little London areas of the city. The tender awarded by Leeds City Council and Sustainable Communities for Leeds (sc4L) will create 250 new skilled jobs and boost the building construction industry. Sc4L was named a preferred bidder back in 2010, but the work funded through a Private Finance Initiative was delayed during the recession. With funding from a recently completed public bond issue now in place, survey teams are expected on site within the next few days and work is due to start in September. Nick Ash, Regeneration Director at Keepmoat, said: “This scheme will make a huge difference to residents and communities in Leeds. 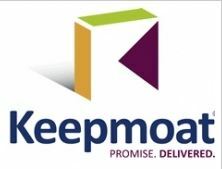 Keepmoat has been awarded the £145 million construction contract over the next three and a half years and a further £53 million in maintenance and repair contracts over the next 20 years. Dave Sheridan, Chief Executive of Keepmoat, said: “This contract win is an endorsement of our exceptional track record in successfully transforming communities. As one of Britain’s foremost experts in community regeneration, Keepmoat has proven it can deliver quality and value for money no matter how large or small the scheme. Councillor Peter Gruen, Leeds City Council executive member for housing, said: “I am very pleased that we can finally kick-start the project for these communities, who have waited a long time. I want to thank the residents for their continued patience, now is the time to finally deliver results! Hull City Council has launched the procurement process to appoint Green Deal partners to deliver energy efficiency improvements to thousands of properties across Hull. Businesses are invited to become a partner that will deliver structural improvements and external solid wall insulation to approximately 3,250 council properties, alongside improvements to private sector properties either fully funded or through the use of a loan product. Hull has recently launched a new, exciting and ambitious City Plan with the primary aim of creating 7,500 new jobs and improving income levels, health and skills. This is an exciting opportunity for organisations to work with a City recently shortlisted as one of four contenders for the 2017 City of Culture. Councillor Martin Mancey, Portfolio Holder for Energy City, said: “The procurement of the partner is part of the city’s wider City Plan objectives to become a green city as well as creating employment and learning opportunities. The procurement opportunity is published in the Official Journal of the European Union Website TED (Tenders Electronic Daily) and YORtender website, the procurement portal of the Yorkshire and Humber regions. Hull City Council has an agreement with the East Riding of Yorkshire Council which allows them to access the procured partner. This will widen the geographical area in which the Green Deal Partner could potentially deliver Green Deal measures. The deadline to submit a completed Pre-Qualification Questionnaire is Wednesday 7 August at 5pm. To support the process a Market Day for interested parties will take place on Wednesday 17 July at the Hull City Hall. Places are strictly limited and any interested contractors and building organisations should email regenerationteam@hullcc.gov.uk with name, job title, company address and contact telephone number. Miller Developments has started work on the first phase of the Arena Central scheme in Birmingham that will see the building of a new 210-bedroom hotel. The redevelopment of Birmingham’s Arena Central is well underway, with demolition works clearing the way for the construction of a brand new Holiday Inn Express hotel. The demolition of a redundant multi-storey car park at the corner of Holliday Street and Bridge Street is the first step towards the construction of the building at Birmingham city centre. The 14-storey hotel will include an atrium link to the adjacent Crowne Plaza Hotel. Once completed, the Holiday Inn Express will back onto Arena Square, forming a key part of this office-led mixed use scheme. Jonathan Wallis, Development Director at Miller Developments, said: “Arena Central forms an integral part of Birmingham City Council’s Big City Plan as well as having a prime position within the City Centre Enterprise Zone and I am exceptionally pleased that we have been able to appoint a local company to undertake these works. “Alongside the development of the hotel, we are working closely with Birmingham City Council to deliver the site’s next commercial building of around 110,000 sq ft, which is planned to sit in a prominent position fronting Broad Street. The 9.2 acre Arena Central site is at the heart of Birmingham’s City Centre Enterprise Zone, meaning that it benefits from simplified planning and reduced business rates as well as forming a significant part of the city’s vision for regeneration. 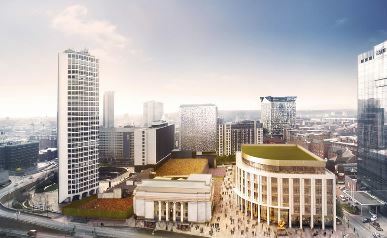 Councillor Tahir Ali, Cabinet Member for Development, Jobs and Skills, Birmingham City Council, said: “Arena Central is an ambitious mixed-use scheme with a key position in the City Centre Enterprise Zone, to which I give my full support. 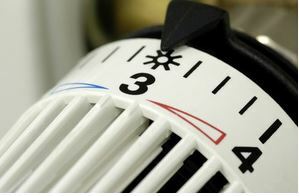 Proposals for new energy saving assessments for larger firms in the UK have been published today by the Department of Energy and Climate Change (DECC). These assessments, required by the new Energy Savings Opportunity Scheme (ESOS), will enable companies to identify opportunities to save money on energy bills through improved energy efficiency and could benefit the UK by £1.9 billion. 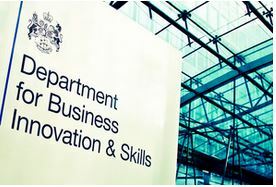 Under the scheme, which is being developed as part of the UK’s implementation of the EU Energy Efficiency Directive, large enterprises will be required to undertake ESOS assessments to identify cost-effective ways to invest in energy efficiency, helping reduce energy bills and increase competitiveness. Organisations who take up energy efficiency recommendations will face lower energy bills – on average, an enterprise taking up recommendations from energy savings assessment will invest £15,000 per year in energy efficiency measures and benefit from bill savings of £56,400 per year. Energy and Climate Change Minister Greg Barker said: “Effective energy efficiency means cutting out waste and increasing profits. These new energy saving assessments will help our largest firms identify where money can be saved by installing energy efficiency measures. Energy Minister Michael Fallon said: “Investing in energy efficiency can hugely benefit our big businesses, helping British businesses get ahead in the global race. There will be no legal requirements to implement the energy saving measures identified, but the assessments could help large businesses, large charities and other large organisations to consider the benefits of investing in energy efficiency. Net social benefits of £1.9 billion could be achieved even if 6 per cent of the potential energy savings identified through assessments in buildings and industrial processes are implemented by participating organisations. The new scheme will complement other Government initiatives aimed at helping business make investments to improve energy efficiency, such as the non-domestic Green Deal, Electricity Demand Reduction, and Enhanced Capital Allowances for energy-saving plant and machinery. Eleven enterprise zones will benefit from a £150 million boost from the government to create local jobs and secure growth across the country, Local Growth Minister Mark Prisk announced today. The fourth round of the Regional Growth Fund will help companies in enterprise zones expand their operations, creating new private sector jobs and economic growth. This means enterprise zones and the local enterprise partnerships which support them will benefit from just under £800 million of government investment which has been already matched by almost £230 million of private sector investment, with many more on the pipeline. Local Growth Minister Mark Prisk said: “This is more good news for enterprise zones. They are already having a positive impact in the economy, having created 3,000 jobs and attracted £230 million in private sector investment since their standing start 1 year ago. “Their significant tax incentives, simplified planning and super fast broadband are making the country a great place to do business and rebalancing the economy by creating new local jobs and business ventures. This announcement is just one of range of steps the government has taken to rebalance the economy and support local businesses looking to grow and create jobs. The government has reformed the way councils are funded by establishing 39 local enterprise partnerships that along with enterprise zones are able to access the billions of government investment to support their local economy, including the £3.2 billion Regional Growth Fund. The power of the UK’s offshore and onshore wind resource is set to be harnessed further today, with the go-ahead given for two large wind farms that will create new jobs. Planning consent has been granted for what will be the world’s largest offshore wind farm off the Lincolnshire and Norfolk coast, with a total investment of £3.6 billion that will create 1,130 jobs and provide power to 820,000 homes. New jobs are set to be created as a result of that development that will generate enough power for almost one million homes when completed and bring significant investment into the economy. 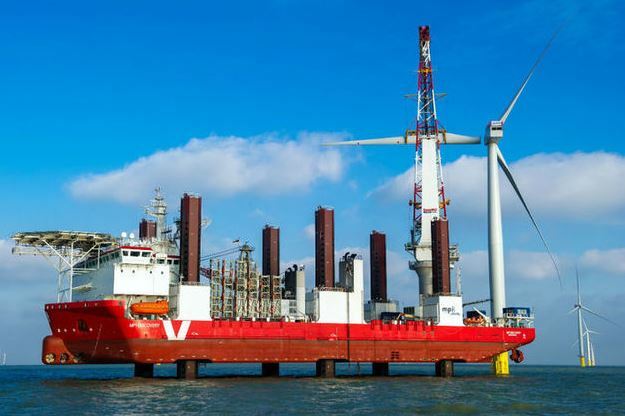 Secretary of State for Energy Edward Davey said: “The investments by Triton Knoll Offshore Wind Farm Limited and Vattenfall are testament to the power of inward investment in the UK. “These two projects will attract billions in investment into the UK, support hundreds of skilled green jobs in Lincolnshire, Norfolk and in the county boroughs of Neath Port Talbot and Rhondda Cynon Taf whilst providing homes with clean energy. “Only last week the Prime Minister opened the London Array, the largest operating wind farm in the world, and today we gave planning permission to build a bigger offshore wind farm and also welcome the go-ahead of the biggest onshore wind farm in England and Wales. Offshore and onshore wind is an important contributor to our energy mix. Salford’s new University Technical College (UTC) at MediaCityUK has taken a major step forward with the selection of BAM Construction for the £10.4 million design and build contract. The proposed UTC@MediaCityUK, as it would be known, will specialise in the creative and digital industries with a direct link to boosting employment and stimulating economic growth. UTC Project Manager Abigail Williams said: “UTC@MediaCityUK will provide outstanding opportunities for young people to develop skills in the digital and media industries and we believe that this new college will deliver the right facilities and environment to foster our students’ ambitions”. BAM construction’s bid manager, Adrian Blackie said: “UTC@MediaCityUK is a fantastic and exciting project to be involved with due to the specific areas of specialisation it will offer, and we are delighted to have been selected. Architect IBI Taylor Young is working on designs for the 6,200 sq m building which will accommodate the industries’ specific requirements and include state-of-the-art TV and Radio studios, as well as Interactive Media and Gaming studios. Supported by the Department of Education and funded by the Education Funding Agency the UTC@MediaCityUK is sponsored by a comprehensive network of partners led by The Aldridge Foundation, The University of Salford, Salford City College and The Lowry. The design and build team includes architect IBI Taylor Young, civil and structural engineers Curtins, building services consultant Ramboll, landscape architect Planit IE and interior designer Space Zero. The Royal Borough of Greenwich has appointed developer Lovell to undertake a £269 million redevelopment programme which will transform three Woolwich council estates and pave the way for new construction jobs. The project, in partnership with asra Housing Group, will see the demolition and redevelopment of the 1,064-home Connaught, Morris Walk and Grove estates and their replacement with 1,500 new high-quality, mixed tenure homes. Construction work on the 13-year project for the three estates, which occupy around 12 hectares of land to the east and west of Woolwich town centre, is set to start in May 2014 following an extensive stakeholder consultation and the submission of planning applications. Lovell, which has a solid record of achievement in working with communities to create successful, sustainable mixed tenure neighbourhoods, was chosen for the scheme following a rigorous selection process. The architects are Pollard Thomas Edwards. The scheme will create 975 new homes for open market sale; 375 homes for affordable rent and 150 shared ownership homes. All properties will be energy efficient, meeting Level 4 of the Code for Sustainable Homes. Asra Housing Group will be responsible for the management of the new shared ownership and affordable rent homes. Matt Cooney, Chief Executive of asra Housing Group, said: “We are proud to be delivering more than 500 homes affordable homes. This is happening at a time when there is a housing shortage, particularly in London. Kier Construction has started work on a brand new £5.2 million primary school campus in North Tyneside that will boost the construction industry and help the local economy. The Longbenton Voluntary Aided Schools campus will house two schools – St Stephen’s RC Primary and St Bartholomew’s Church of England Primary. Children from both schools were invited to a special blessing and ceremony where they helped perform the official turf cutting alongside council chairman Cllr Janet Hunter, and cabinet member for children, young people and learning, Cllr Ian Grayson. Kier is building the campus on the former Goathland Primary School site in Longbenton. Both new schools will retain their individual identities and remain two distinct and separate schools with their own registration, faith and ethos. Cllr Grayson said: “This is an exciting and long-awaited day and I am delighted and honoured to be helping the children cut the first piece of ground. “This is a first for North Tyneside. We are building two fantastic new primary schools in one state-of-the-art building with bright, modern classrooms, a community building and extensive outdoor facilities. The children will get the best possible chance to learn and achieve their full potential, while teachers will have the best possible environment in which to deliver the first-class educational opportunities our children deserve. The event was also attended by the Elected Mayor Norma Redfearn, local councillors, head teachers, teachers, church officials and representatives from Kier Construction. Hull City Council has appointed Compendium Living as its development partner to build new modern housing within the Ings area of Hull that will create new trade jobs. Hull City Council and Compendium Living have been working together to develop plans and designs for 770 new quality homes that will transform the Ings focus area into an ‘urban village’ and boost the local economy. This appointment will allow the Council and Compendium Living to replicate the success of the housing developments created by the Council and its partners in the west of the city. These are some of the fastest selling developments in the country last year. It is hoped that following planning approval building will begin in summer 2014. Dave Bullock, Managing Director of Compendium Living, said: “We are absolutely delighted to have been appointed by Hull City Council to carry out this very important regeneration project, and now to be starting the detailed work which will lead to the revitalisation of the Ings area of East Hull. Galliford Try and its Scottish business partner, Morrison Construction, have been appointed as preferred contractors for the first phase of the £41.8 million redevelopment of the Royal Edinburgh Hospital. In addition to that contract, Galliford Try has been chosen to provide ongoing hard facilities maintenance and lifecycle management worth approximately £18 million over the next 25 years. Morrison Construction will deliver a new state-of-the-art 15,500 sqm specialist mental health facility on the west edge of the existing campus in Morningside, Edinburgh. When operational the facility will provide services for the adult acute mental health inpatient service, intensive psychiatric care, national brain injury unit, mental health rehabilitation and older people’s mental health assessment and treatment services. Galliford Try Chief Executive Greg Fitzgerald said: “We are delighted to have been selected by hub South East for this major project in Edinburgh. A major new development in north Preston will boost economic growth and create more than 175 jobs if planning application is approved by Preston City Council. The Homes and Communities Agency (HCA) has unveiled plans to create up to 300 homes, neighbourhood facilities and a major link road on land off Eastway in Preston. Building construction work is set to continue for 15 years, paving the way for new employment opportunities in the trades. The 25-hecatare site has been masterplanned following extensive consultation with local residents, statutory consultees and a panel of North West design experts. A key feature of the layout of the new development has been to work within the framework of the existing ecological features, creating an attractive network of open spaces and ensuring permeability from the site into the surrounding area. Tom Warburton, head of Cumbria and Lancashire at the HCA said: “The site has been identified for development for many years so submitting a planning application for this scheme is great news for the area. “Once we get the go ahead, we can start to unlock the site to create much needed new homes for Preston. Leeds City Council has signed a major contract set to deliver a huge regeneration programme, build new homes and create hundreds of trade jobs. The Council and sustainable communities for Leeds (sc4L) have signed the contract that will last for 20 years and help communities across the Little London, Beeston Hill and Holbeck areas of the city. Local communities will benefit from the refurbishment of the 1245 council homes, and the construction of 388 new council homes to rent with environmental improvements to the estates. Capital investment of over £120 million over the next three and a half years will provide training and employment schemes leading to jobs, work placements, apprenticeships and social enterprise opportunities. The project is funded by the Department for Communities and Local Government under the Private Finance Initiative. Leeds City Council has forecast that the refurbishment of homes and new regeneration activity will improve the lives of local residents and boost the local economy. Councillor for neighbourhoods and planning, Peter Gruen, said: “We welcome the news that this project has reached financial close. I am very pleased that we can finally start to deliver the project for these communities, who have waited a long time. I want to thank the residents for their continued patience, now is the time to finally deliver results! “The council has worked extremely hard with its partners over many years to move this project along at the various stages. It is great to sign it off and be able to tell local people they will start to see work happening soon. Jon Hinchliff, sc4L general manager said: “We are delighted to have been given the opportunity to work with Leeds City Council and the local communities within Little London, Beeston Hill and Holbeck. Thames Valley Housing Association (TVHA) has appointed Rydon as their delivery partner for a new £11.3 million development on the site of the former Newman House office block in Surrey. The scheme will see the building of 90 one and two-bedroom apartments with shared courtyard space built above 1,100 square metres of commercial space and a new car park. The new six-storeys building will occupy a central location on the corner of Victoria Road and Russells Crescent, working with local sub-contractors and people in the trades. 75 homes will be available through TVHA on a shared ownership basis with the remaining 15 available through affordable rent. The retail space will comprise one large unit of around 500 square metres and three smaller units of around 200 square metres. 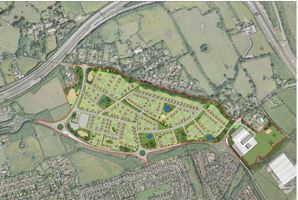 The development is due for completion in spring 2015 and forms part of the master plan for the regeneration of Horley, which includes 2,600 new homes, better public transport as well as enhanced recreation and leisure facilities. An award-winning virtual reality and digital training developer, Skills2Learn, has celebrated its successful multimedia legacy with the launch of a new state-of-the-art Head Office in Milton Keynes. Skills2Learn has been helping people from different trades to gain professional skills in a risk-free environment through innovative e-learning training solutions and game-based environment scenarios. In a true Skills2Learn style, Mayor Brian White and Mark Lancaster MP, cut the ribbon and unveiled the plaque using an interactive virtual reality programme, which has been designed and built by a dedicated team at Skills2Learn. Other official guests included Iain Stewart MP and Mayoress Mrs Leena White who were able to view the new offices, meet with members of staff and experience some of the new technologies that Skills2Learn are pioneering including interactive virtual reality scenario based assessments, mobile augmented reality solutions and the new revolutionary virtual holographic environment. Commenting on the official opening of the centre Chief Executive of Skill2Learn, Majid Al-Kader, said: “We are pleased that so many friends and clients could join us today, this is a great opportunity for us to say thank you to all who have supported us over the past few years and introduce the new members of our team. Mr Al-Kader added: “We moved in at the end of April and have already added more than twelve new members of staff to the team. This year, Skills2Learn has secured major projects with well-known National and International clients. Many of Skills2Learn’s clients and partners joined the celebration including Babcock, British Gas, Capita, Cengage Learning, Centrica, EAL, EU Skills, Network Rail, Milton Keynes College, College of North West London, Stoke on Trent College, Central Bedfordshire College and Weldability SIF. Energy intensive businesses will get help to offset the cost of energy policy on their electricity bills under plans published by Business and Energy Minister Michael Fallon. Proposals to exempt the most electricity intensive industries from a proportion of the costs of Contracts for Difference will be subject to consultation. The move will “level the playing field” so that British businesses are not made uncompetitive due to the costs of this policy. Contracts for Difference have been introduced to support investment in low carbon electricity generation. They are a significant element of Electricity Market Reform (EMR) and aim to stimulate investment by providing a stable long-term price for low carbon electricity. Business and Energy Minister Michael Fallon said: “As we reform the market to attract new investment into our energy infrastructure, it is vital that we do not undermine the competitiveness of UK industry. The exemption from the costs of Contracts for Difference is part of a government package to support the most electricity intensive industries. This consultation sets out what the exemption might look like, and seeks views on eligibility criteria. The recommended option is to use the same eligibility criteria as the EU Emissions Trading System and Carbon Price Support indirect costs compensation. This would exempt industries with a total combined value to the UK of approximately £50 billion in turnover, employing 150,000 people. The Prime Minister has attended the inauguration of London Array, the world’s largest offshore wind farm located 12 miles off the Kent and Essex coasts in the outer Thames Estuary. More than 75 organisations and 6,700 individuals were involved in its construction, with up to 1,000 people working on site. The lessons learned are expected to help reduce the cost of future offshore wind farms. London Array will be able to power the equivalent of around half a million UK households and should help reduce harmful CO2 emissions by more than 900,000 tonnes a year. As well as marking a big step forward for UK renewable energy generation it will help ensure a reliable electricity source for the south east. Inward investment for the project came from Denmark-based DONG Energy, the E.ON Group and Abu Dhabi’s Masdar. Later, the PM joined Malaysian Prime Minister Najib Razak in London for the official ground-breaking ceremony of the 39-acre Battersea Power Station site redevelopment. The long-awaited project will transform the area into a vibrant new neighbourhood and see the iconic Grade II listed power station fully restored and opened to the public, 30 years after it was decommissioned. Some 3,500 new homes, shops, restaurants and offices will be built, set in a 6-acre riverside park with the power station at its heart. The redevelopment will generate 15,000 new jobs and has attracted inward investment from a Malaysian-led consortium of SP Setia, Sime Darby and EPF, with redevelopment undertaken by the British-based Battersea Power Station Development Company. Miller Construction has been appointed as preferred contractor for 13 schools across the South East, with a construction value of over £48 million. Clients include Hampshire County Council, Reading Borough Council, Surrey County Council and West Sussex County Council that will share services arrangement set to boost the trades and stimulate employment. The Property Services Cluster (PSC), which enables all four Councils to work together to achieve substantial efficiency benefits and cost reductions, has selected the IESE (Improvement and Efficiency South East) framework to deliver about 30 schools with a combined construction value of £100 million. Chris Webster, Chief Executive, Miller Construction, said: “We are delighted to have been selected to deliver services on 13 schools for the Property Services Cluster via the IESE framework. “This appointment reiterates our continued commitment to our strategy focussing on long-term partnerships and framework agreements. The latest tranche will see Miller initially delivering pre-construction services on ten schools across Surrey; De Stafford Primary, Stamford Green Primary, Cranmere Primary, Hurst Park Primary, Esher High School, Redhill, Horley NE, Langshott Primary, Earlswood Junior and Holmesdale Infant School, with a combined value of £35.5 million. Construction work is underway to build 24 affordable homes in County Durham, thanks to a partnership between Yuill Homes and the Vela Group. Leading North East housebuilder Yuill Homes will deliver eight new two bedroom bungalows for rent at Greenwood Cottages in Thornley Village with funds generated at its successful nearby private housing development, Crossways. Built with support from Durham County Council and the local parish council, the energy-efficient homes will be available to rent through the Vela Group, which incorporates Tristar Homes and Housing Hartlepool. Each home will be allocated to people in the greatest housing need via the Durham Key Options lettings system. 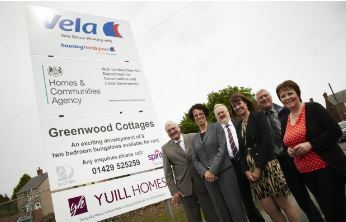 As well as delivering eight new affordable homes in Thornley Village, Yuill Homes is also working in partnership with the Vela Group to develop 16 two and three bedroom homes for rent at its Denewood development in Murton. Part funded with an investment from the HCA, the £1.3 million scheme will see each home at the development built to Code for Sustainable Homes Level 3 Standard, helping residents to keep their energy bills affordable. Cllr Eddie Tomlinson, Cabinet member for housing, said: “Durham County Council is committed to ensuring more affordable housing is available across the county and we’re delighted that Yuill Homes are building such good quality homes in line with our strategic aims. The Education Funding Agency has appointed BAM Construction as a preferred bidder for the delivery of £27 million contract for the Midlands two capital batch. Schools are located in Birmingham, Derby and Nottinghamshire More than 1,800 pupils in one primary, one secondary and two special schools will be taught in new buildings. Work will now progress to the planning application stage. Keith Rayner, BAM’s education director, said: “This is excellent news for the creative and hard working team that put together our successful proposals for these schools. “So far, BAM has a 100% track record of making the shortlist on all of the priority schools for which we have tendered, but the real test of value is in being selected and we are delighted that our designs have been chosen. Sackville Developments Reading Limited (SDRL) has submitted plans for the £500 million regeneration scheme of Reading’s town centre that will create new jobs and boost the trades. The regeneration of the Station Hill site in Reading is an employment-led mixed-use redevelopment which will include new homes, shops, cafés and leisure facilities. SDRL represents a joint venture between Benson Elliot and Stanhope PLC. Between them, Stanhope PLC and Benson Elliot have the expertise and stable financial backing to deliver a first class redevelopment to Station Hill. The application has been drawn up following extensive consultation with local residents and business owners as well as council representatives. Jason Margrave, Development Director of Stanhope said: “This application is the culmination of a considerable amount of consultation with Reading Borough Council as well as the promoters of the neighbouring Thames Tower. “The designs we have submitted have been widely supported by the public and we believe they will considerably transform this part of the town, building on the significant investment currently taking place at the station. The public exhibition which took place in February last year attracted over 700 people, with over 95% of respondents supporting that the area is in need of regeneration. The application is due to be decided by Reading Borough Council later in the year. If approved, work will look to commence in 2014. Whilst redevelopment is taking place, it is the intention of the developers to create a temporary event space outside of Reading Station to be used for a variety of cultural and entertainment events. Euston Station will be redeveloped to become the gateway to the great cities of the Midlands and North as part of the HS2 scheme that will create thousands of trade jobs. The first phase of HS2 alone, from London to the West Midlands, is expected to support about 40,000 jobs, figures which do not include broader employment growth supported by the new line and the use of released capacity on existing routes. The new plans for Euston, developed partly in response to concerns from the community about the potential disruption caused by the redevelopment would lead to less disruption for passengers as the station could continue to operate mostly as normal rather than having to move services from old platforms to new ones while platforms are being progressively demolished and rebuilt. Ms Munro commented: “Community concerns have been raised about the potential disruption caused by the redevelopment of Euston Station. The new proposals would see the station revitalised for passengers and with potential for new homes, offices and shops above. Completing construction by 2026 will unlock the line-wide benefits for local residents and businesses. Potential opportunities for over-station development – with the possibility of being used for future homes, open space and businesses. East-west pedestrian routes across the station, helping to link communities on either side of the station. The Merseyside Recycling and Waste Authority has named Sita as preferred bidder for a £1.2 billion deal to manage 430,000 tonnes of waste each year. The consortium, which consist of industrial energy specialist Sembcorp Utilities UK and I-Environment will build a rail loading waste transfer station in Merseyside and energy-from-waste plant in Teesside. The winning bid from Sita includes a high efficiency Energy from Waste facility with Combined Heat and Power at the Wilton International site in Teeside creating around 50 new permanent jobs. New rail hub for the transportation of waste at the existing Potter Group Rail Freight Terminal at Kirkby on Merseyside creating around 25 new permanent jobs. The new energy-from-waste facility will generate electricity for the equivalent of 63,000 homes and has the potential to provide steam directly to adjacent business customers, which would further improve its efficiency. In total, over 90 per cent of the contract waste managed by the Sita consortium will be diverted from landfill and used to produce energy. David Palmer-Jones, Chief Executive Office of Sita UK said: “We are delighted to be selected as preferred bidder for this major contract in Merseyside. This is great news for Merseyside, for the environment and for new jobs. “The two new facilities that we will develop will enable all of Merseyside’s household waste to be put to good use. Plans for the building of a new Energy Park in Bulwell that will create hundreds of construction jobs have been submitted to Nottingham City Council. Chinook proposes to develop the 17 acre site on Blenheim Lane for a major new manufacturing plant for its recycling equipment and to create new jobs in the trades. If planning permission is granted, work on the site could begin early next year, creating 250 jobs during the construction phase and later at the completed site, including manufacturing jobs. Deputy Leader of Nottingham City Council, Councillor Graham Chapman, said: “We very much welcome Chinook’s proposals for the Energy Park and in particular their commitment to create new manufacturing jobs for local people. “If approved, this investment would boost the city’s credentials as the most self-sustaining city for energy production in the UK. Given the problems of energy cost and supply in the next few years, it is essential this city creates as much of its own supply as possible and this is an important step in that direction. Chinook Sciences Technical Director, Harry Perry confirmed: “This is a milestone in our plans to develop a local manufacturing base and to significantly upgrade our R&D facilities. “Powering the site with electricity from our own technology will further demonstrate Chinook Sciences’ renewable energy capabilities, and bring clean-tech employment and investment to the Bulwell area. Woking Borough Council has given the go-ahead for the building of 371 new family homes as part of a £80 million housing scheme that will create new jobs and boost the trades. 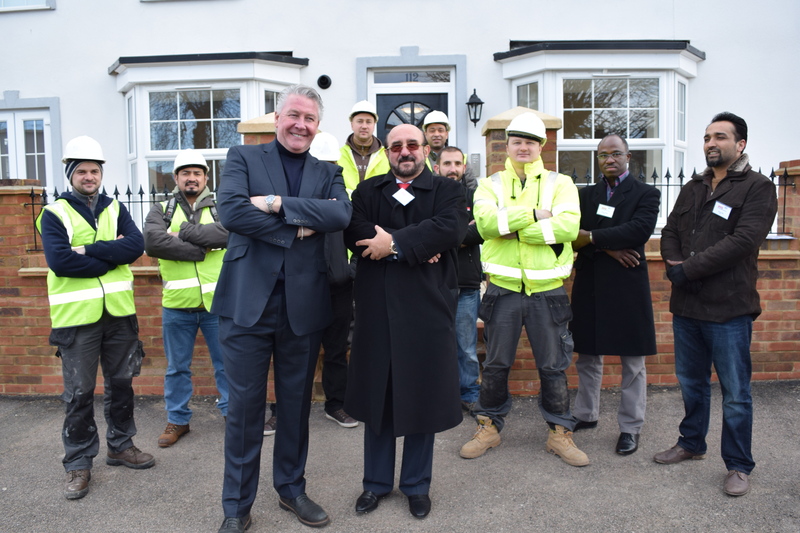 The site, commonly known as the Moor Lane housing development, will be developed by Evolution, a consortium between Kier Project Investment and Thames Valley Housing. It will see the building of 371 family homes, of which 224 will be affordable, with the remaining 147 homes for private sale. Kier will construct the properties and Thames Valley Housing will manage and maintain the social housing over the 25-year contract. Construction work will commence during the summer. Cllr David Bittleston, Woking Borough Portfolio Holder for Housing said: “We are delighted that the development has had the go-ahead. Nigel Turner, managing director of Kier Property, added: “We are thrilled to have achieved this important milestone and we look forward to working with Thames Valley Housing to progress the development. 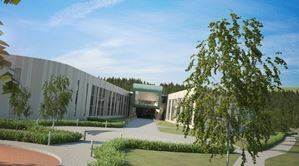 Morgan Sindall has won a £11.5 million contract to construct the principal commercial research and development building at Norwich Research Park. The project is due to complete in March 2014 and will see around 80 people from the local area working on site at the peak of construction. The development is on track to achieve a Building Research Establishment Environmental Assessment Method (BREEAM) rating of Excellent. The four-storey building will provide 4,000 sq m of high quality facilities including laboratory and office space, a business centre and formal and informal meeting rooms. The Centrum building will also include a restaurant and café, a breakout area and exhibition and circulation space. These social and formal spaces will provide a platform to enable the business community to interact with researchers on the Norwich Research Park. Alan Giles, Project Director – Norwich Research Park, said “We are pleased to award Morgan Sindall this contract after a rigorous OJEU tender process. This is an important milestone in the development of the Research Park and the Centrum building will be the focal point for business and research to come together. The development forms a key part of ‘Project 26′, which refers to the £26 million funding awarded through the Biotechnology and Biological Sciences Research Council (BBSRC) in the 2011 Government Budget. The funding has been awarded to Norwich Research Park to improve the Park’s IT infrastructure, road network and provide new flagship buildings. The Centrum development will be located centrally on the Norwich Research Park adjacent to the existing Recreation Centre and Conference Centre on the John Innes Centre site. It will provide a hub for the local science and business community, and will also facilitate collaboration amongst the Research Park’s occupants. Plans for the first new properties in South Cambridgeshire’s biggest building programme have been approved, paving the way for new jobs and boosting the trades. The four one-bed semi-detached houses on Chalklands in Linton have been given the go-ahead by South Cambridgeshire District Council’s Planning Committee, and will replace an existing block of ten under-utilised garages owned by the Council. 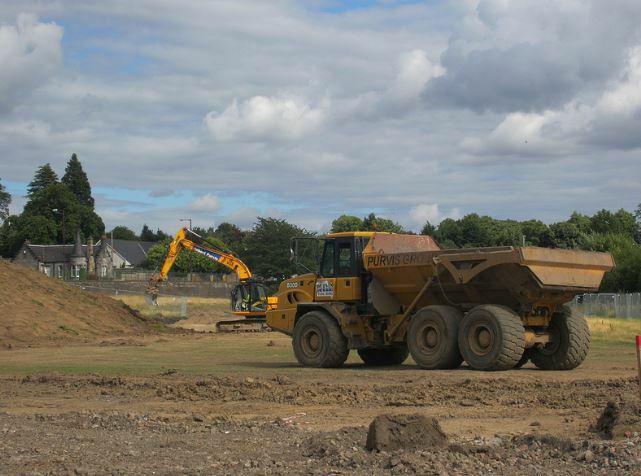 Work is set to start onsite later this year and is due to be completed in 2014. Up to 1,000 new council-owned and affordable properties are planned in the district over the next 30 years after a change in government housing funding policy. Cllr Mark Howell, South Cambridgeshire District Council’s cabinet member for housing, said: “I’m delighted that approval has been granted to build these much-needed homes, marking a great start to our plans to build hundreds of new homes in the district. The latest phase of another Cambridgeshire’s drive to build almost 25, 000 new homes and create thousands of construction jobs has last week gone on display for public consultation. A new town at Northstowe recently had its first phase approved. The scheme may eventually see thousands of new homes built, making it one of the biggest new towns in Britain since Milton Keynes. Southwark Council has given the go-ahead for a transformed Elephant & Castle, representing significant milestone in the regeneration of Central London that will create new jobs and boost the trades. Lend Lease, the integrated property and Infrastructure Company, will work with the Council to deliver a masterplan that will see the creation of one of the largest new housing developments in London. By 2025, the scheme is expected to deliver 2,500 new homes, shops, restaurants and community facilities, paving the way for over 6,000 new jobs in the construction industry. Mark Dickinson, Managing Director of Lend Lease’s Development business in EMEA, said: “The £1.5bn regeneration of Elephant & Castle is now underway. “The approval of our masterplan vision sets in motion our long-term plans and our commitment to the area. We’ve set out our blueprint for the future but there is a lot of detailed work to undertake and we’ll continue working with the community at every step. 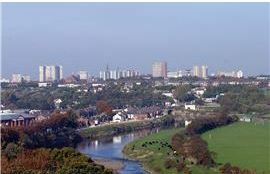 The new neighbourhood will be a low carbon energy development and the masterplan is currently one of just 18 global projects to be accepted as part of the Clinton Climate Positive Development Programme, designed to showcase and support large-scale urban projects that are ‘climate positive’. There will also be significant improvements and investment in public transport, along with new pedestrian and cycle paths that will create one of the best connected locations in London. 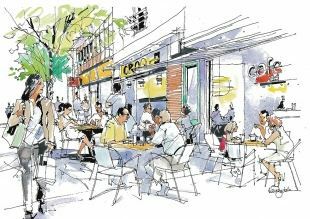 Chancellor Peter John, Leader of Southwark Council, said: “We now have the opportunity, working with local people and our partners Lend Lease, to continue the transformation of the area as a place where people want to live, work, shop and relax. “The regeneration of Elephant & Castle will take time, but this announcement, and the starting of work on a brand new leisure centre, are all crucial steps towards a greener, safer and more attractive place in central London that people will be proud to call their home. Leeds City Council has selected Carillion Construction to carry out an extensive twenty-month long repair job set to improve the A58 Woodhouse Tunnel and create new trade jobs. Initially, Carillion will advise on how to best to carry out a £10 million programme of extensive concrete repairs to the roof and walls of both tunnel bores. The Council says the Woodhouse Tunnel is suffering severe concrete damage and deterioration as a result of prolonged, extensive chloride ingress from winter de-icing salts. The damage is so severe that the structural capacity of components is now being affected. The tunnel needs extensive concrete repairs to the roof and walls of both tunnel bores and strengthening for vehicle impact loading to the area of the tunnel supporting the Leeds General Infirmary buildings. Strengthening work for vehicle impact loading and protection to the rest of the tunnel will be also required. Social housing landlord East Thames has awarded a £100 million repairs and maintenance contract to Interserve, paving the way for new jobs in the trades. The seven-year contract will provide repairs service to more than 13,500 households and create new jobs for local residents and the wider community. Bruce Melizan, executive director at Interserve, said: “Delivering front-line services for East Thames is strategically important to us at Interserve, as it affects local residents’ homes and their quality of life. “The fact that East Thames has given us an opportunity to share our knowledge and experience in delivering residential repairs and maintenance with them is a strong endorsement of the value and quality we can bring to their estates. The contract will also see benefits extended to the wider community via local recruitment targets, training and employment opportunities and a unique package of support for local long term unemployed residents who have found it difficult to find work. Interserve will deliver estate services to local areas, including cyclical works, building refurbishment, planned and responsive repairs and maintenance to corporate buildings. East Thames director of development and property Geoff Pearce said: “We are very much looking forward to working with our new partners Interserve and welcome their customer-centred approach to delivering our repairs service. United House is set to build 327 homes in a £58 million mixed-use residential scheme in Islington, paving the way for new jobs in the trades. The canal-side scheme will comprise a mixture of private sale, shared ownership and social rent homes. The apartments will be built in four blocks from seven to ten storeys tall with rooftop play areas and terraces and including almost 6,000 sq ft of commercial space. The double storey basement to be built beneath the scheme is between listed buildings and within a conservation area. All apartments will be built to the Code for Sustainable Homes Level 4 and commercial spaces will meet BREEAM Excellent. BIM will be incorporated in the construction.